You searched for which does not fit your . We've redirected you to 152-416, which has the proper fitment. • Easily attached with a zip tie, leather strap, etc. 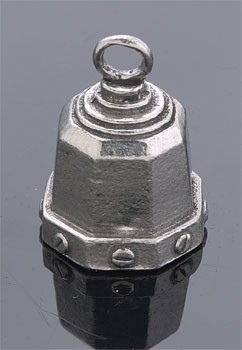 This is a nice looking small bell. Not embarrased to have it on my bike. Gave a Guardian bell to a co-worker who also rides. I don't know him that well and haven't ever rode with him. It was incredible to witness the level of his positive emotional reaction. Random acts of kindness do happen.